Send her your love – through flowers! Remind her how much you love and appreciate her with a beautiful bouquet of flowers this Valentine’s Day! Ranging from classic roses to simple spring time flowers, take a look at our pick on the best flower bouquets available online! Will anyone ever get sick of red roses? I doubt that. A bouquet of red roses, traditional and timeless. This simple yet unique bouquet in a hat box speaks for itself, and nothing screams ‘I love you’ as loud as a red rose bouquet would. Does your other half prefer the simpler side of things? Then these baby's breath are perfect for her. Delicate, graceful and a symbol of everlasting love and innocence, these pretty flowers are sure to wow her. Instead of the usual bouquet of vivid red roses, why not opt for a more gentle and elegant bouquet? The Love Esmerelda is put together using pink alstroemeria, cotton flowers and avalanche pink roses with purple caspia, bunny tail and eucalyptus leaves to bring a touch of contrast. 100 red and white roses arranged in a heart shape symbolizes how great and irreplaceable your lover is to you. Impress your significant other with this stunning floral arrangement! Pink roses are a symbol of appreciation and admiration. 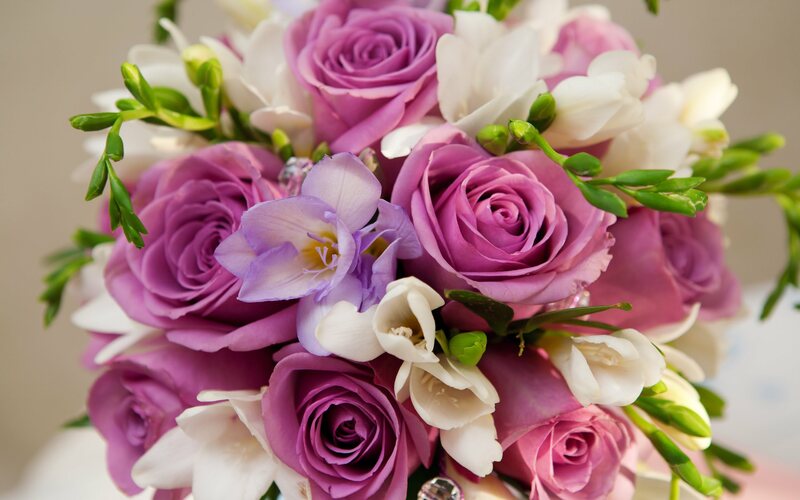 Let her know how much you love and appreciate her with an exquisite bunch of pink roses and white lilies! Looking for a gift with a bit more oomph? Take a look at this preserved lavender rose. Even though it’s not a giant fancy bouquet, it’s a thoughtful gift. Available in different colours that carry different meanings as well! Go all out with this beautiful arrangement of red, avalanche pink and pink roses. All arranged surrounding a heart with baby's breath on the outsides, this is sure to tell her how much she means to you. There’s more to Valentine’s Day than just roses. This beautiful arrangement of pink roses and hydrangeas in a vase is just as thoughtful and appreciative as a bouquet of roses! Getting a bunch of flowers for mom this Valentine's? For a more traditional and classic look, check out this arrangement of Robina Lilies, Waxflowers, Avalanche Roses and white Eustoma adorned with Eucalyptus Cinerea! It’s meaningful and beautiful. Just like mom! For a more ruffled and rustic look, check out this flower arrangement! Put together using Orange Roses, Baby's Breath and fillers, if you want a gift that will really pop, this is it!